This is an online illustrated guide depicting photos of common workmanship defects as seen during production and each defect slide is tied to a particular page in MIL-STD-883. Its intended as an on-the-floor working document for operators, inspectors and quality engineers to facilitate an understanding of defects generated during the manufacture of hybrids, microcircuits and RF/MMIC modules and how they relate to the contractual requirements of MIL-STD-883. One digital document with up to date visual inspection criteria from MIL-STD-883 and MIL-STD-750, which decreases time spent looking for requirements and increases productivity and quality. Easily accessible by computer, tablet of phone for all subscribers throughout the plant. Valuable training aid with over 300 color defect photos linked to applicable mil spec visual inspection. Saves countless hours interpreting the often ambiguous visual requirements contained in the mil specs. Know the source requirements… tie defect pics to the specific requirement in MIL-STD-883 and MIL-STD-750. A single authoritative source of microelectronics inspection criteria updated quarterly by TJ Green, Associates. The Workmanship Standards eBook: Hybrids, Microcircuits and RF/MMIC modules is offered on a monthly or annual subscription basis. Subscriptions auto renew from month to month or year to year based on your plan. Monthly subscriptions can be canceled at any time, whereas yearly memberships do not qualify for early termination based on the one (1) month free discount. 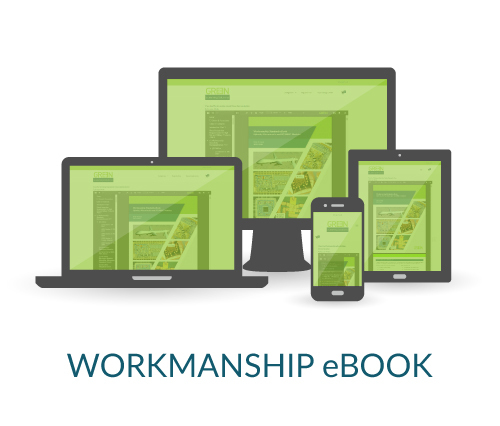 For questions regarding Workmanship eBook memberships click here, to get a free 7 day trial click here.